Loratadine (brand name Claritin) is an antihistamine used to treat allergies, (allergic rhinitis), and allergic symptoms including runny nose, itchy eyes, nose, or throat, urticaria, and sore throat. Loratadine does not prevent hives or other allergic skin reactions. 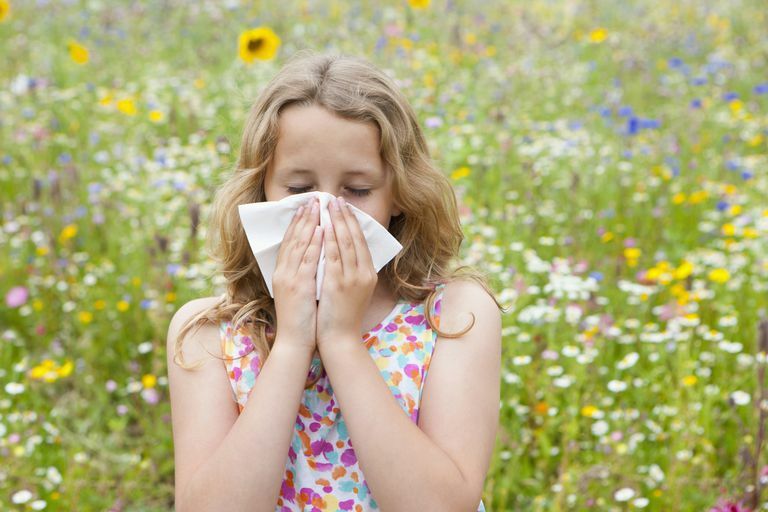 It can be used for both seasonal or perennial allergies. It is considered a tricyclic antihistamine. Loratadine is available over-the-counter. Loratadine comes in a pill or liquid form. The standard adult dose for loratadine is 10 mg daily. You can take loratadine with or without eating. You should follow the instructions given by your physician and pharmacist. Loratadine should not be used if you are pregnant or breastfeeding without consulting your doctor as it's safety has not been established. It has also not been evaluated for use in children less than two years old. When using loratadine in children longer than 14 days you should consult a physician. People with liver problems should talk to their doctor before using loratadine as they usually require a lower dose. You should not take loratadine if you have previously had an allergic reaction to any medications containing loratadine. Your doctor should have a complete list of all medications that you are taking including over-the-counter and prescription medications, vitamins, and herbs. Among other medications, the drugs ketoconazole, erythromycin, and cimetidine have been shown to interfere with loratadine blood concentrations. Your doctor should know if you have a history of kidney or liver disease as this affects how the medication is broken down in the body. Your doctor should also know if you are pregnant or breastfeeding, or if you have a disease called phenylketonuria (PKU) as some loratadine may contain phenylalanine. Side effects of loratadine in clinical trials were mild. During clinical trials, sleepiness was not reported more often with the use of loratadine than with a placebo. Side effects reported with the use or loratadine included: headache, dry mouth, nosebleed, sore throat, mouth sores, sleep disturbances, nervousness, abnormal movements (hyperkinesia - in children), weakness, stomach pain, heartburn, diarrhea, alopecia (rare), abnormal liver function (rare) and red or itchy eyes. Contact your doctor if you have any severe side effects after taking loratadine. The following side effects need to be treated immediately as they may indicate a life-threatening allergic reaction called anaphylaxis: difficulty breathing, hoarseness, swelling of the eyes, face, lips or tongue, drooling, or wheezing. These conditions may or may not be accompanied by a rash or hives. If you miss a dose take it as soon as possible unless it is almost time for the next dose in which case you should just skip the dose you missed. This medication may be prescribed "off-label" which means that your doctor may prescribe this medication for an illness other than allergies. If you accidentally take more of this medication than prescribed call Poison Control or 911. Should I Take Benadryl to Treat a Cold or Allergy?